Data centers are some of the most technically advanced, innovative facilities on the planet. These establishments utilize the latest and greatest technology to boost capacity and improve processes. This trend shows no signs of slowing, as experts predict vast changes in the industry in the next few years, shaping the data center of the future. Data Center Knowledge contributor Jeffrey Dutschke predicted that Google's newest invention, Google Glass, will become an integral part of how data center operators carry out their daily duties. For those unfamiliar with the technology, Dutschke describes Google Glass as "a portable computer worn like a pair of glasses." 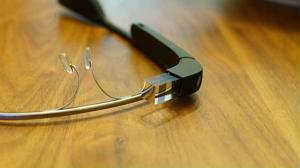 It allows wearers to access and view applications literally right before their eyes. The device includes a camera, microphone and speaker, and Wi-Fi capabilities with Bluetooth communication. According to Dutschke, researchers are developing data center maintenance and repair applications for Google Glass, which could revolutionize the inner workings of computing facilities. Operators will also be able to send and receive SMS and email messages, enabling quick communication throughout the data center. "For apprentices and new hires, this will be an amazing way of interacting with their supervisor and getting advice while on the job," Dutschke noted. Additionally, the device will provide means for quickly and easily creating work orders through its voice command feature. Operators will be able to scan parts using the item's QR code and the Google Glass camera. Workers will also have the ability to rapidly gather data as they move about the facility during their daily routines. One of the most innovative uses of Google Glass in data centers is the ability to access real-time heat mapping to better gauge the data center temperature. Dutschke predicted that later Google Glass models will be equipped with an infrared camera, which would allow the wearer to easily see areas of high temperatures. While this feature is not available yet, there is technology on today's market that can oversee server room temperatures for optimal server uptime. Temperature monitoring systems prevent IT equipment from reaching unsafe levels that can lead to costly downtime. Scientific American contributor David Wogan recently reported that Microsoft researchers are working on creating arrangements which would "bring the power plant into the data center itself to improve efficiency and reliability using fuel cell technology." In other words, instead of depending on the utilities available in the area, data center facilities would have the means to generate their own supply of electricity. Sean James, Microsoft Global Foundation Services senior research program manager, said the company is currently working on an arrangement that would power data center facilities through fuel cells integrated into the server racks. "This brings the power plant inside the data center, effectively eliminating energy loss that otherwise occurs in the energy supply chain and doubling the efficiency of traditional data centers," James wrote. James said that this power-saving technology could improve efficiency by as much as 40 percent. However, with more equipment in the server room, there is an added need for temperature monitoring to prevent overheating. A temperature monitoring system is essential to ensure that excess heat is eliminated and the data center temperature remains in the target zone.